ROME, Jun 18 (IPS) - Judging by the accolades and diplomas handed out to 11 Latin American and Caribbean countries by FAO, it would be easy to conclude that the region has taken a giant leap towards eradicating hunger. Argentine economist Raúl Benítez, head of the FAO office for Latin America and the Caribbean, said that "although our continent has made great strides against hunger, it is still the most unequal region in the world." 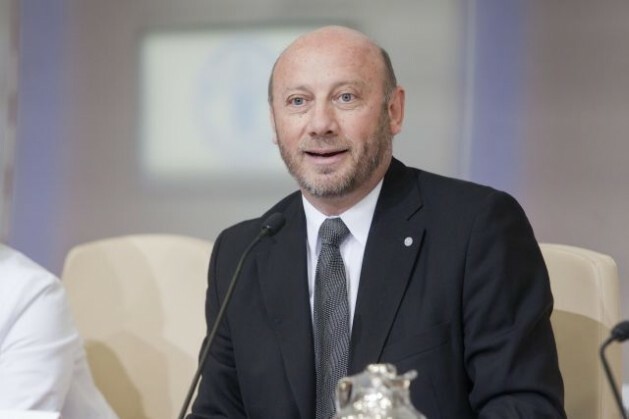 "Of the nearly 900 million hungry people in the world, 50 million are in Latin America or the Caribbean," Benítez told IPS at the 38th FAO Conference meeting in Rome Jun. 15-22. "Today in Argentina there are many children suffering from malnutrition caused by the soy boom," complained Silvia Ribeiro, Latin America director of the Action Group on Erosion, Technology and Concentration (ETC), referring to Argentina's top export. "For more than 20 years, with the support of every administration, Argentina has allowed massive expansion of soy cultivation, displacing cattle as well as other crops, and even transforming the local diet," said Ribeiro, whose organisation monitors the impact of emerging technologies and corporations on biodiversity, agriculture and human rights. Today, "the poor in Argentina don't drink cow's milk but soy milk, and they don't eat beef but soy substitutes, a monotonous diet that causes malnutrition," she said. According to Ribeiro, who is also at the Rome conference, FAO's praise for Latin America's achievements against hunger "is based on a biased and misleading analysis." "It's as if FAO only saw GDP, which does reflect greater agricultural production, but closed its eyes to the fact that this production is socially excluding and ecologically unsustainable, and only benefits big multinational corporations that produce for export," she said. But Benítez said "FAO can only call attention to these phenomena and propose corrective measures; states are sovereign, and they may or may not adopt policies in line with our proposals." Ribeiro also highlighted the increasing use of genetically modified crops. "The most serious case is that of Mexican maize, because the government has approved (experimental plots) of transgenic maize seeds by companies like Monsanto and DuPont Pioneer," the activist said. Maize is an essential staple in the diet of the people of Mesoamerica, the region encompassing southern Mexico and Central America. Moreover, Mexico "is the birthplace" of maize, Ribeiro noted. In this country, "maize is more than food, it is an essential pillar of national identity and tradition," she added. Countries in similar positions, such as China in the case of soy, and parts of southeast Asia in the case of rice, prohibit the cultivation of transgenic varieties to safeguard their biological heritage, said Ribeiro. "Mexico should follow their lead with maize," she argued. Recent research has found that transgenic maize may be harmful to health. "A group of French scientists has shown that transgenic maize causes cancer in rats," said Ribeiro. "Another study, for the European Food Safety Authority, discovered that most of the transgenic varieties approved for commercial use in the United States (54 out of 86) contain virus genetic material that was not observed when they were approved, and may have harmful effects in plants, animals and people," she said. "At FAO we are aware that land grabbing and large agribusiness concerns can cause social exclusion and be environmentally unsustainable," said Benítez. "Governments must weigh the short-term benefits against the long-term costs, which may be much higher, and make decisions accordingly."